Despite the fact that the Fed keeps raising rates as it tightens the noose around the supposed economic “recovery”, there are still many people out there who refuse to accept that the central bank would deliberately implode the fiscal bubble that it has spent the last ten years inflating. Even today, I still see arguments proclaiming that the Fed will be forced to pull back if stocks fall beyond 15% to 20%. I also see claims that Fed officials like Jerome Powell had better start looking for another job because Donald Trump won’t be happy with Fed policies that could cause a crash. This is pure delusion from people who do not understand how the Fed operates. 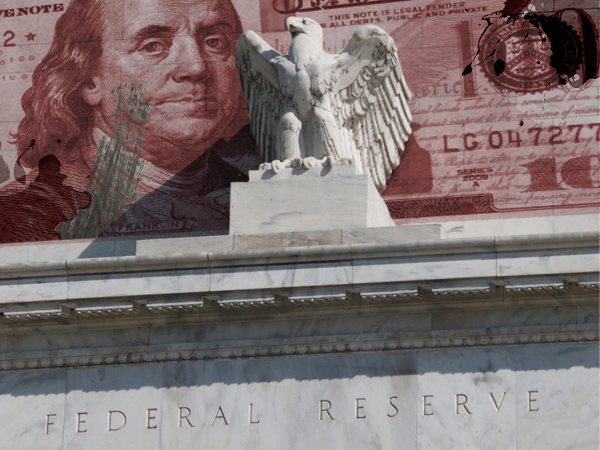 First and foremost, let’s be clear, the Federal Reserve is an autonomous entity that does not answer to government oversight. It never has and it never will. This reality is supported by admission by former Fed officials like Alan Greenspan, who publicly noted that the Fed answers to no one. My third concern — and others have touched on it as well — is the problems of exiting from a near $4 trillion balance sheet. We’ve got a set of principles from June 2011 and have done some work since then, but it just seems to me that we seem to be way too confident that exit can be managed smoothly. Markets can be much more dynamic than we appear to think. Investors really do understand now that we will be there to prevent serious losses. It is not that it is easy for them to make money but that they have every incentive to take more risk, and they are doing so. Meanwhile, we look like we are blowing a fixed-income duration bubble right across the credit spectrum that will result in big losses when rates come up down the road. You can almost say that that is our strategy. I believe the truth is that the Fed does not care about the U.S. economy, or even the survival of the dollar, as is obvious in their actions. The Fed is merely a puppet entity of larger institutions like the Bank for International Settlements or the International Monetary Fund. These institutions seek centralization at a global level, with a global currency system and global economic authority, as they have openly admitted to in their own publications. The U.S. economy, and the Fed by extension, are expendable in this pursuit. The Fed will continue on its current course no matter the cost, because there is a greater strategy in play. In fact, some elites may even welcome the shutdown of the Fed at this time because this opens the path for the death of the dollar as the world reserve currency and the introduction of a new world monetary system.